édité le 07/01/2015 - Plus de news de "CHEVRON" - Voir la fiche entreprise de "CHEVRON"
Chevron Corporation (NYSE: CVX) today announced a significant oil discovery at the Anchor prospect in the deepwater U.S. Gulf of Mexico. Anchor is Chevron's second discovery in the deepwater Gulf in less than a year. "The Anchor discovery, along with the previously announced Guadalupe discovery, are significant finds for us in the deepwater Gulf of Mexico. We had one of our best years with the drill bit in 2014, reporting more than 30 discoveries worldwide and adding an estimated one billion barrels of new resources to our holdings," said Jay Johnson, senior vice president, Upstream, Chevron Corporation. The Green Canyon Block 807 Well No. 2 encountered oil pay in multiple Lower Tertiary Wilcox Sands. The well, which was spudded in August 2014, is located approximately 140 miles (225 km) off the coast of Louisiana in 5,183 feet (1,580 m) of water and was drilled to a depth of 33,749 feet (10,287 m). Appraisal drilling will begin in 2015. "Chevron's leading position in the Gulf, where we are expecting further growth in the near-term from recent project startups at Jack/St. Malo and Tubular Bells, is further underpinned by this discovery," said Jeff Shellebarger, president, Chevron North America Exploration and Production Company. "We currently have five deepwater drillships operating in the Gulf, two of which are focused on exploration activities." 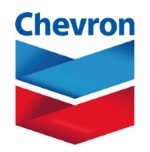 Chevron subsidiary Chevron U.S.A. Inc. is the operator, with a 55 percent working interest in the Anchor prospect. Anchor co-owners are Cobalt International Energy, Inc. (20 percent), Samson Offshore Anchor, LLC (12.5 percent); and Venari Resources LLC (12.5 percent). Chevron is one of the world's leading integrated energy companies, with subsidiaries that conduct business worldwide. The company is involved in virtually every facet of the energy industry. Chevron explores for, produces and transports crude oil and natural gas; refines, markets and distributes transportation fuels and lubricants; manufactures and sells petrochemical products; generates power and produces geothermal energy; and develops the energy resources of the future, including biofuels. Chevron is based in San Ramon, Calif.